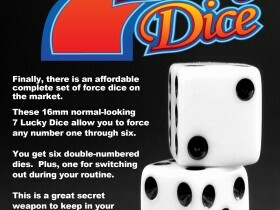 Finally, there is an affordable set of normal looking force dice on the market! In the past one was lucky to find one of these dies, and even then one had to constantly force the same number. Now you can give your audience the illusion of choice! These 7 Lucky Dice can be used for magic effects where a die is employed and could be used to increase your odds at winning in dice games. Normal dice abide by the rule of seven; six of these dice do not but can be casually examined and handled. These custom made elimination dice are not loaded but allow the magician to force any number one through six. The seventh die is for switching out. 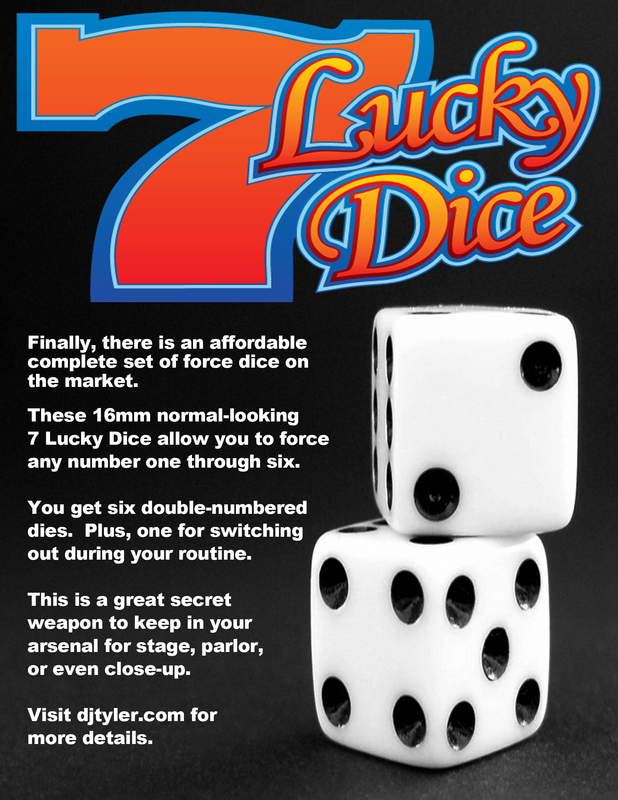 These 16mm 7 Lucky Dice are a wonderful secret weapon to have in your arsenal for close-up, parlor or stage. Made in the USA. Imagine a spectator numbering six envelopes one through six. They are instructed to place a fake bill in five of the envelopes and their own $100 bill into the sixth envelope and to seal them all. They then roll a die and if the number two comes up, then you or they destroy the envelope marked #2 by burning it or shredding it. This procedure is done until one envelope is left. Miraculously, their $100 bill is the lone survivor. They mark the envelopes. They place their bill inside. They roll the dice. They destroy the envelopes one by one if they wish. It seems to good to be true!